You may never look at a painting by Pierre-August Renoir in quite the same way again after seeing this three-minute film. It didn’t show in his artwork, but Renoir suffered from severe rheumatoid arthritis during the last three decades of his life. He worked in constant pain, right up until the day he died. This is unique footage of the great Impressionist painter Pierre-Auguste Renoir (1841-1919). In this rare footage from 1915 we see the 74-year-old master seated at his easel, applying paint to a canvas while his youngest son Claude, 14, stands by to arrange the palette and place the brush in his father’s permanently clenched hand. 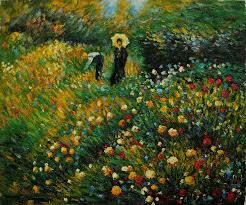 By the time the film was made Renoir could no longer walk, even with crutches. He depended on others to move him around in a wheelchair. His assistants would scroll large canvases across a custom-made easel, so that the seated painter could reach different areas with his limited arm movements. But there were times when the pain was so bad he was essentially paralyzed. The film of Renoir was made by 30-year-old Sacha Guitry, who appears midway through the film sitting down and talking with the artist. Guitry was the son of the famous actor and theatre director Lucien Guitry, and would go on to even greater fame than his father as an actor, filmmaker and playwright. When a group of German intellectuals issued a manifesto after the outbreak of World War I bragging about the superiority of German culture, Guitry was infuriated. As an act of patriotism he decided to make a film of France’s great men and women of the arts. It would be released as Ceux de Chez Nous, or “Those of Our Land.” Guitry and Renoir were already friends, so when the young man embarked on his project he travelled to Renoir’s home at Cagnes-sur-Mer, in the Provence-Alpes-Côte d’Azur region. 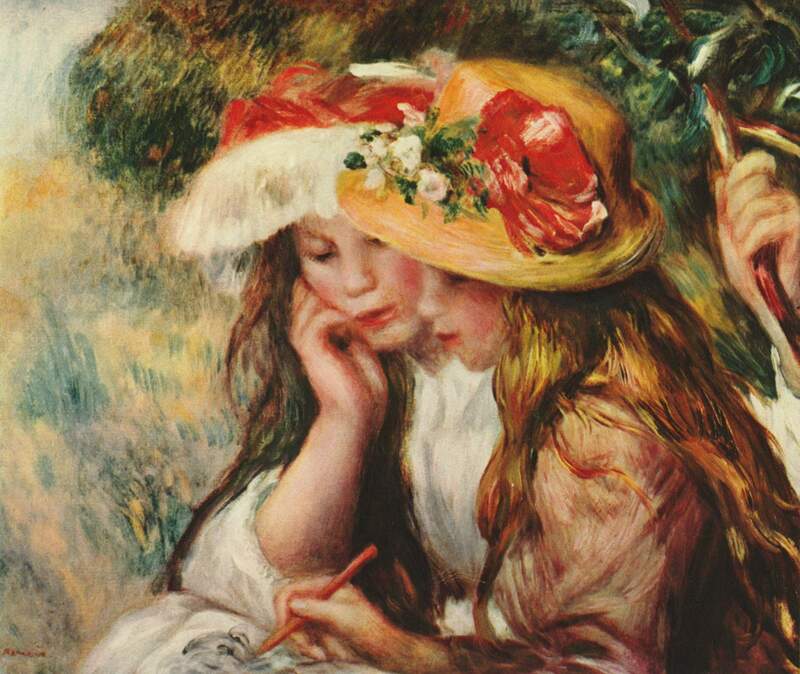 The date was shortly after June 15, 1915, when Renoir’s wife Aline died. This entry was posted in Orthodox Theology and tagged aging, ailing, Art, Arthritis, Beauty, Deformed, Film, footage, French, Impressionism, Impressionist, old age, Pain, painter, Paralyzed, Pierre-Auguste Renoir, Suffering, Wheel Chair.